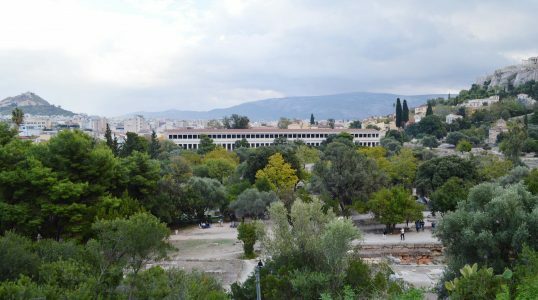 The Ancient Agora of Athens is one of the largest agora (market) in Greece. This public space, founded in the 6th century B.C., was the hub of political, economic, philosophical and cultural growth of ancient Athens. Its landscape changed through centuries due to war and destruction, but in 1930’s, the Agora was discovered buried underneath houses. Now, the site is open to the public and protected by the Ministry of Culture. The Agora is filled with olive trees and plants making it a delightful place to walk.